While brunch in Hong Kong is the ultimate weekend indulgence, nothing beats an afternoon tea set with its perfect balance of sweet and savoury treats. As we step into spring, restaurants across town have started to roll out new afternoon tea menus to welcome the arrival of the new season. This year, hotels are even collaborating with beauty brands to not only satisfy our stomachs but our skin too. And of course, they’re all pretty Instagram-worthy too. 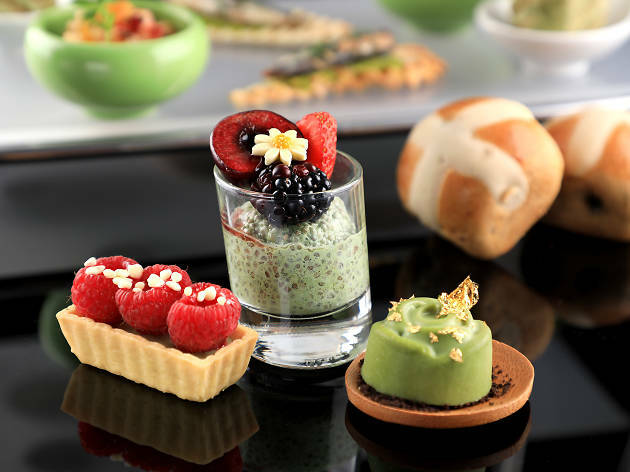 Scroll down to discover our top picks of the best new afternoon tea sets in Hong Kong. 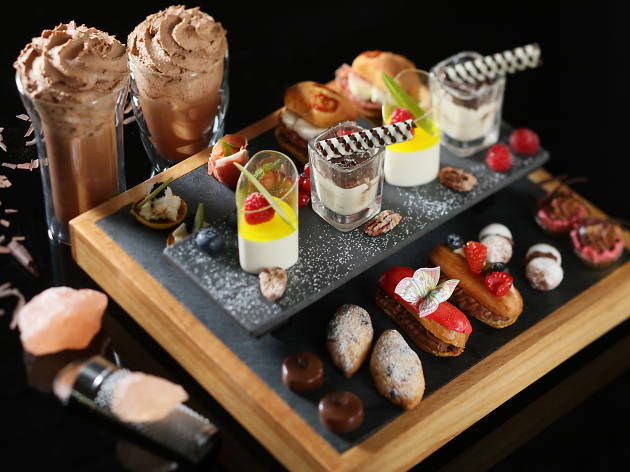 The Ritz-Carlton’s Café 103 is no stranger to themed afternoon tea sets. 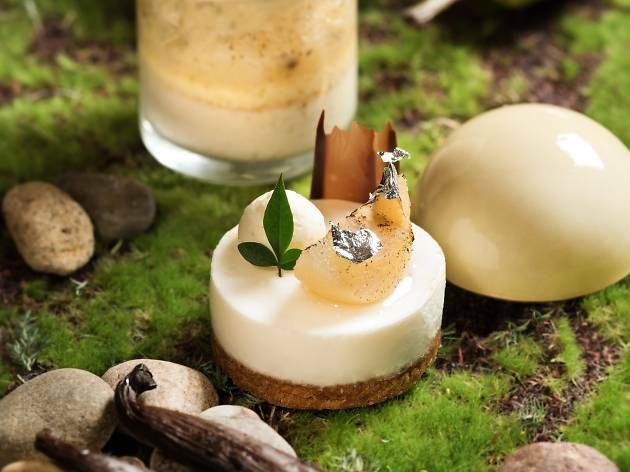 To celebrate spring, they’re rolling out a Perfect Pair menu, which places the spotlight on two ingredients – Tahitian vanilla and Williams Bon Chretien pears from Australia. Get the pun now? Serving up a selection of delectable pastries to highlight the tropical notes and sweetness of this pairing, indulge in treats like pear and vanilla verrine, muscovado tart and tonka tart, all complemented by a selection of savoury nibbles including pumpernickel with foie gras terrine and raspberry jam. $388-$638 (Mon-Fri), $408-$658 (Sat-Sun). Until Apr 30. 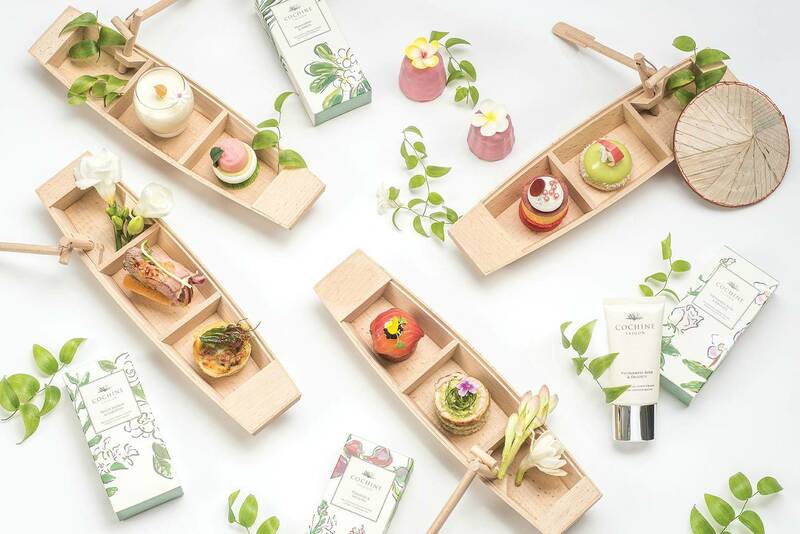 While a matcha-themed afternoon tea set isn’t exactly groundbreaking, Coco’s use of matcha from Uji – a Japanese town world-famous for the product – in its offerings makes it stand out from the rest. Indulge your sweet tooth with enticing desserts like white chocolate and Uji matcha jelly and dark chocolate tart, matcha with Oreo cookie base cheesecake, and homemade matcha, cranberry and white chocolate scones. Cough up an extra $120 to enjoy a glass of Moët with your tea. Matcha waiting for? $428 for two. Until Apr 30. You can satisfy your taste buds and your skin at the same time thanks to Conrad’s collaboration with German skincare brand Dr Belter. 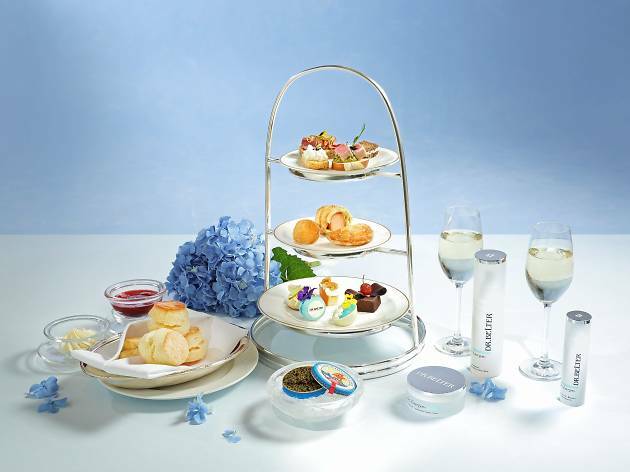 Inspired by the brand’s signature Bel-Energen anti-aging products, the afternoon tea features pastries and desserts with fish roe, avocado and egg whites as well as caviar and champagne on the side. Best of all, you can nab a free Dr Belter goodie bag too. $298-$498. Until Mar 31. With a fantastic view of Victoria Harbour, chocolate fans can delight over Cucina’s new Amedei Italian afternoon tea with its new desserts made using luxury chocolate sourced from Tuscany. Highlights from the menu include the chocolate éclair filled with silky Amedei chocolate mousse and the tirimisu. Savoury confectionaries like parma ham and melon, and apple crab blinis round off the Italian-style meal. If that’s not sweet enough, complete it with a salted caramel chocolate chococina. $568 for two. 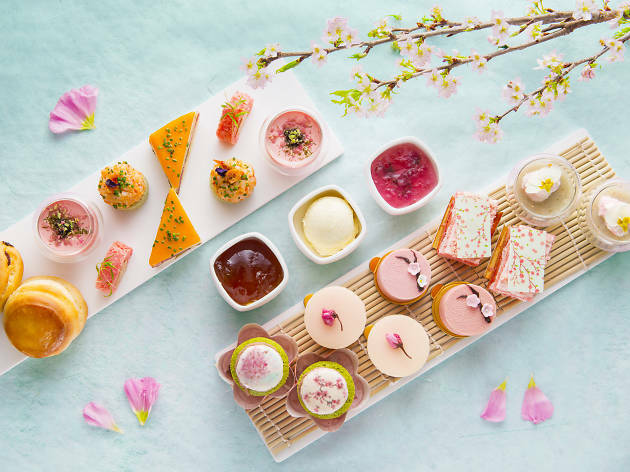 If you’re a fan of sakura flowers, this cherry blossom-themed afternoon tea set is one not to miss. Featuring artistically made pastries and Instagrammable nibbles, tuck into an array of floral-inspired desserts including the orange passion fruit sakura cake and fluffy scones paired with sakura petal jam. For savoury, there’s duck foie gras with sakura jam, and shrimp tartar with yuzu and sakura crispy shrimp. Don’t miss out on their range of spring floral cocktails and mocktails. $668 for two. Until Apr 30. 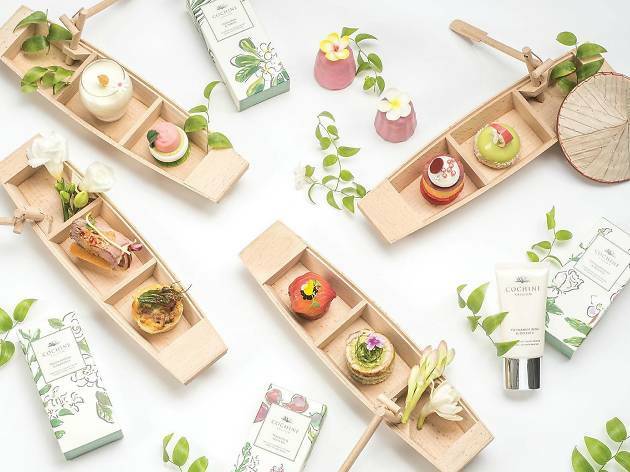 The Langham has teamed up with luxury fragrance brand Cochine to present the Sweet Blossom afternoon tea with a Vietnamese spin. Inspired by Cochine’s four newest hand cream scents, get ready to taste some serious floral flavours with pastries like Vietnamese Cassava coconut dacquoise, frangipani canelé with orange blossom coated with pink chocolate, choux pastry filled with wild fig, and Sicilian lemon compote and rose-shaped pavlova meringue with cherry mousse filling. There’re also mini banh mis too. Order a two-person afternoon tea set and take home an exclusive Cochine gift set which comes with a small perfume sample and hand cream. $348-$598. Until May 31. 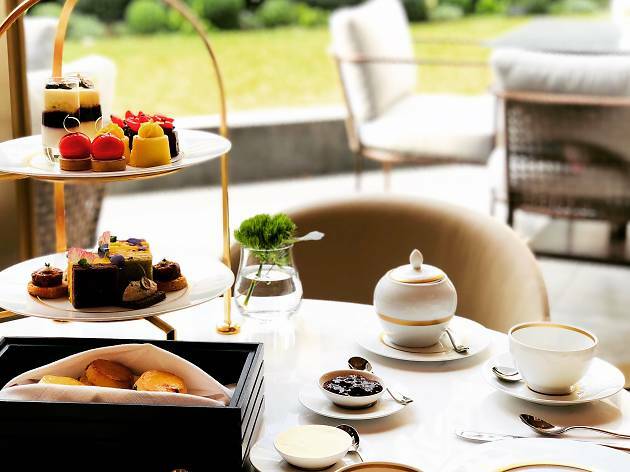 Hong Kong’s newest luxury hotel – a revamped former government office building – The Murray welcomes diners to sit back and relax with an afternoon tea at its stylish and sophisticated Garden Lounge. You can choose to sit inside surrounded by natural light or outdoors overlooking the lawns and the neighbouring Hong Kong Park. 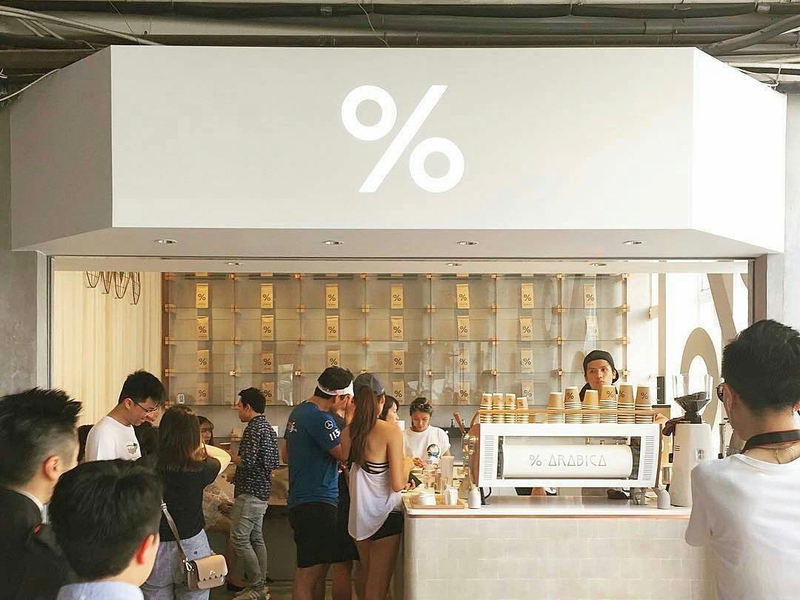 Enjoy a range of contemporary dim sum, creative sandwiches, French patisserie items, signature Niccolo Coffee and selections of Jing tea from the UK. $295 per person. Bored of the usual three-tiered afternoon tea sets? The Korean strawberry and swallow’s nest tea buffet at La Scala might just hit the spot. 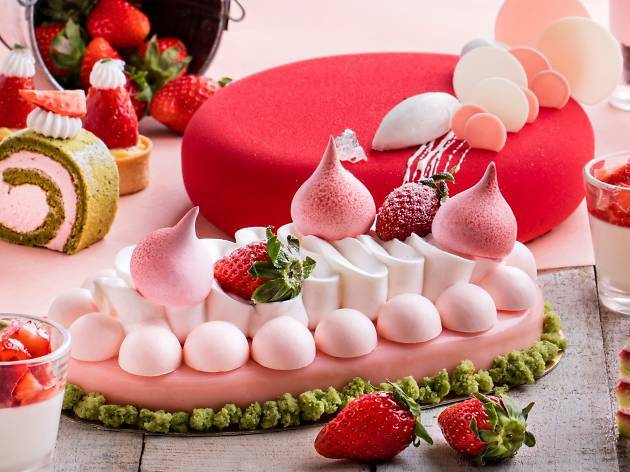 Cominbing the sweetness of strawberries and the nutritional value of bird’s nest, savour dishes like swallow‘s nest strawberry Oreo cheesecake, and green tea strawberry roll with swallow’s nest. To keep a stress on the Korean-theme, there’s deep-fried chicken nuggets with strawberry sauce. The sheer pinkness of the whole set makes for great Instagram too. $265 (adult), $185 (child). Until Apr 5. From Central to Cheung Chau, these are the best places to get your caffeine fix in Hong Kong.